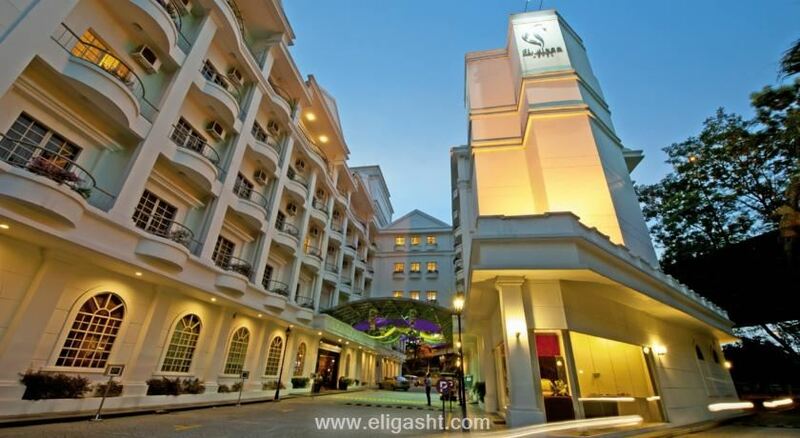 The club resort is located in a serene environment, beside a tranquil lake in Ampang. Only minutes away from KLCC and KL's Golden Triangle, as well as the Embassy Row. It is also close to the Klang Valley expressway leading to the north, south and east of Peninsular Malaysia. Guests can enjoy a pleasant stay in one of the 230 rooms. Most storeys are accessible by lift. Services and facilities at the hotel include a safe, a restaurant, a dining area, a bar, room service, a laundry service and a conference room. Wireless internet access is available to travellers. Those arriving in their own vehicles can leave them in the car park of the hotel. The accommodation features rooms with air conditioning and a bathroom. Further bookable amenities include separate bedrooms. There is also a safe. Guests will also find a tea/coffee station included as standard. A telephone, a TV and WiFi ensure optimal comfort. A shower and a bathtub can be found in the bathrooms. A hairdryer is also available. The accommodation offers breakfast, lunch and dinner. The hotel also offers snacks.